My dishwasher is old. Seriously old. It came with our house when we bought it over fifteen years ago. We are fairly certain it’s around 20 years old. The thing is… it still works – *knocks* wood. And for the most part, it works quite well. They don’t make things like they used to. 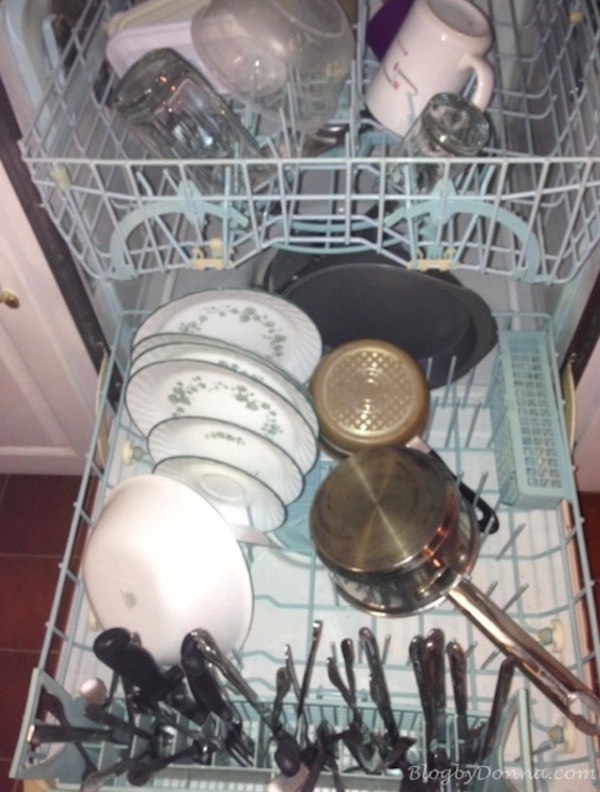 However, I usually rinse my plates off before putting them in the dishwasher… just in case. I’ve use Cascade Dishwasher Powder for like, ever. For the most part, I’ve been very happy with my dishwasher detergent,but have noticed that my glasses do not look “sparkling” clean. As you can see from the above photo, the glass on the left looks like it has a film on it. After I used the new Cascade Platinum Pacs the same glass (on the right) looks sparkling clean. 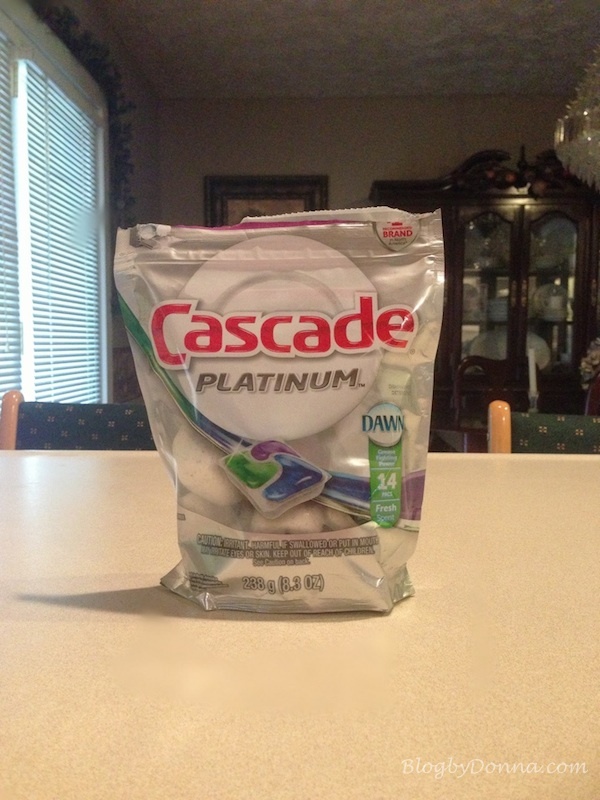 What it is: Cascade© Platinum Pacs deliver the most powerful clean available from Cascade while simultaneously helping to maintain the sparkling look of your clean dishwasher interior. Availability and Prices: Beginning in March 2013, Cascade©Platinum Pacs will be available in Fresh and Lemon Burst scents at mass merchandisers, grocery and retailers nationwide. 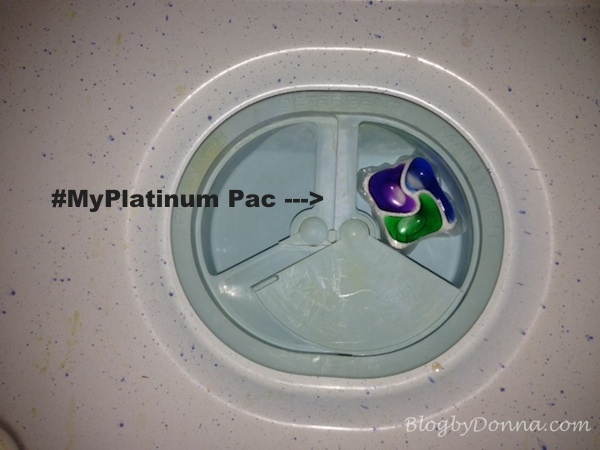 I’m definitely sold on the new Cascade Platinum Pacs and they will be the only thing I use in my dishwasher, now. I’m going to enjoy eating food on my plates even more, now. I do believe there is a reason for this, too…. with all the cooking shows on TV, and the ever growing popularity of Instagram and Pinterest, it’s obvious we eat with our eyes. Have you noticed how Facebook has exploded with photos of food recipes recently? We watch a lot of cooking shows, and our son (who is 10) will even make comments on the presentation of food. He even knows the importance of a well plated meal. Right now Cascade Platinum has a contest going on… check out the details. The Cascade “My Platinum” contest is a four week Instagram contest encouraging fans to upload photos related to the weekly contest themes. Show off how sparkly Cascade makes all your pots, pan and plates! Show us your best dish styled from the sparkling plate up! Show us your best bite and most creative use of sparkling silverware! Show us how you serve up creative concoctions in sparkling glasses. Cheers! Show us your sparkling tablescape for your most special celebrations! What a fun contest. I know I could use a kitchen makeover! Be sure to like Cascade on Facebook to keep up to date on all the latest My Platinum news and coupons. I need to remember to enter this. I HATE my dishwasher. I am very pleased with it. I hope mine continues to keep going. My biggest complaint about my dishwasher is that it is so loud. Seriously, loud. I usually don’t turn it on unless I’m leaving the house. That way when I get back it’s done. 🙂 Hope you had a great day, too, Corina! Wow that did an amazing job on the dishes. 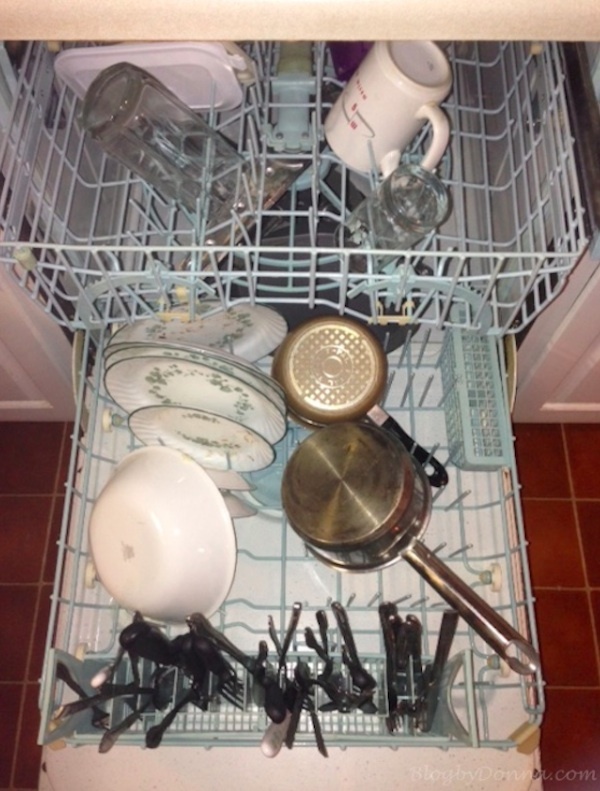 I so need to get myself a dish washer. Is it dumb that I like how colorful these are too? I’ve tried them and they are great in the dishwasher and convenient as well. How awesome that they keep your dishwasher too! I’ll be buying some since we have a nice new dishwasher that I want to keep pristine. This stuff certainly does work great. Wow love the results!! I can’t wait to try it! 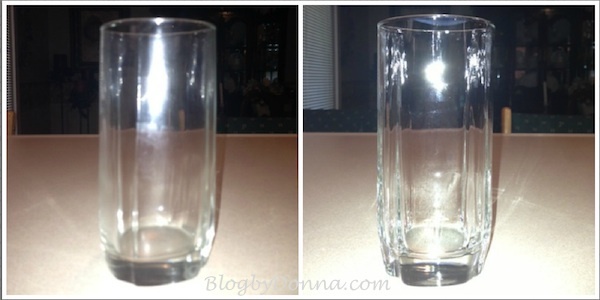 wow you can definitely see the difference in the before and after photo of your glass. We have glass drinking cups too so I wonder if it will make a difference for us too. I love Cascade because it works so well! I thought that was Gail! This defiantly looks like something I should invest in! I have been using Finish for years. But without a good coupon it is expensive. This has def made consider switching! Will check the store for it. I’ll have to try these – maybe they’ll help since our dishwasher is very old. I can def. see the difference in the glass! I’ve really noticed a difference after using these pacs. I just bought this this week! I’ve been using packs for awhile since the powder detergent aggravates my asthma- I just started using the same brand & my dishwasher is so clean now! I love using these pacs!! I’m not sure I would switch from the Powder LOL old habits die hard. Seeing how great it works on dishes makes me wish I had a dish washer. How awesome is that?! It’s so nice to hear that it works better than powder and doesn’t leave a film – I hate it when that happens. I can really see the difference in your glasses.